Accuracy and noise immunity are quite important for an accelerometer. 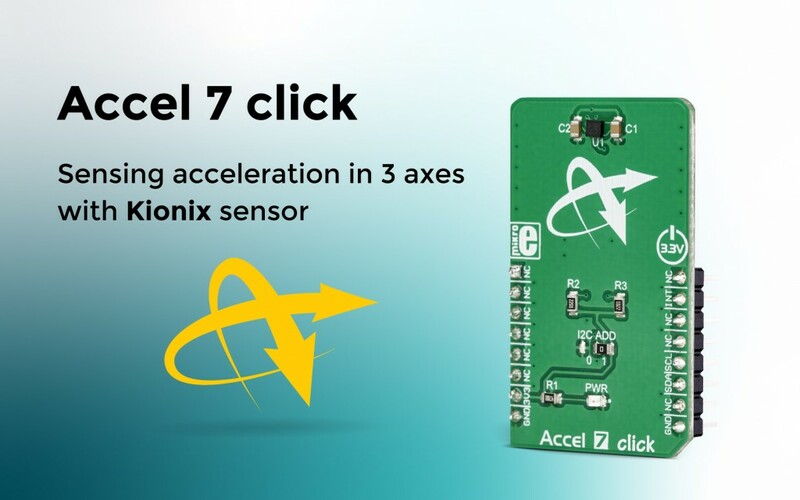 Our new acceleration-sensing Click board™ is made with the KXTJ3-1057 by Kionix, to ensure these qualities. You can use Accel 7 click in a wide range of applications. If you need to build an app that requires low power consumption, fast response, precision, and reliability, this Click board™ will be a perfect choice. You can use it for projects involving display orientation, HID applications, drop detection applications (e.g. for warranty logging), or any similar applications that rely on acceleration and motion-sensing.